Installing post lights into stringers so that each light illuminates one step can create a uniform look, but might also a cluttered one. You’ve bought your stair lighting package. Now where on earth do you install your lighting? 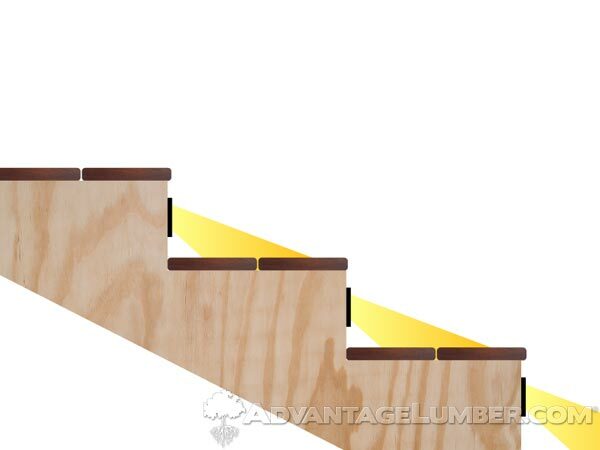 When it comes to lighting your deck staircase, proper installation is a must. Creating shadows or blinding light can lead to safety hazards. After all, tripping isn’t a good look for anyone, no matter how well you bounce back. 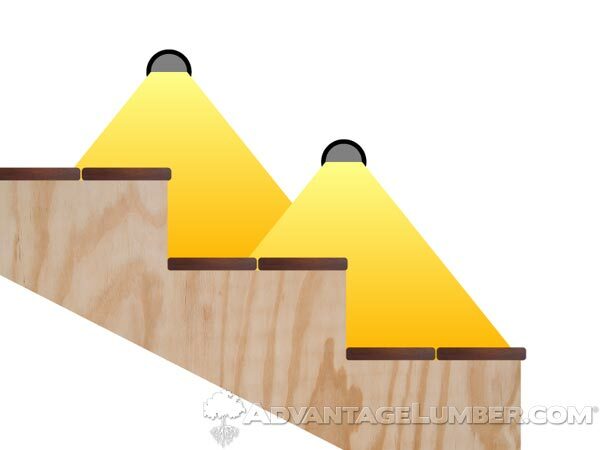 Make sure to add extra lighting if your stairs are built with darker looking deck materials. Installing recessed deck lights that are shaded or louvered onto stair risers directs light down. This allows anyone, especially children, to ascend stairs without being blinded. Recessed fixtures are the best solution to steer clear of stair accidents. You will want covered or louvered fixtures that direct light down so they don’t distract people walking up the stairs. You also don’t want your light to overlap, which means you need to avoid placing fixtures on sporadic sides of a staircase. If you install a post light that’s centered above the riser, you can illuminate two steps at once. 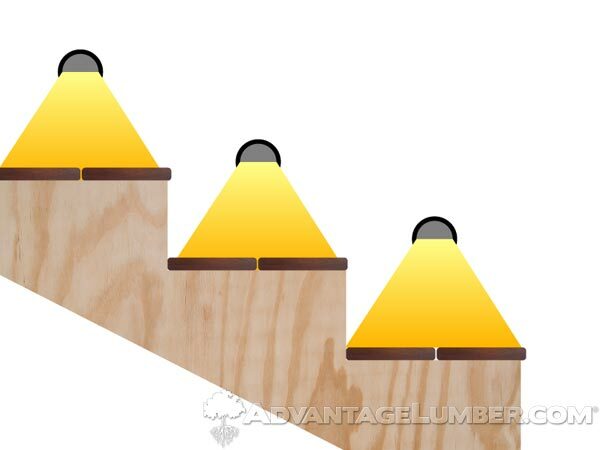 This can save you time and money when buying and installing deck lights. Height placement of your fixture allows for wider illumination. Be sure to center your light fixtures over the riser, rather than the tread, so it will illuminate multiple steps and not just one. If you follow these few guidelines, your deck will be well lit and safe! Check out the available deck lighting options today. This entry was posted in Deck Lighting, Decking Installation, How-to Build and tagged deck lighting, deck post lighting, deck stair lighting, installing deck lights on August 7, 2013 by Mr. Ipe Hardwood. We bought led lights and they are on the steps of our deck and facing up. This is blinding and we can’t see the steps at all. Is there any way of diffusing the light? There are products out there that diffuse the light from the bright LEDs. If you bought LED strips, look into some sort of housings rated for outdoor use where you can run the LED strip inside of it. These sometimes come in square shapes, or round shapes so it’s going to be best to find an alternative way of mounting the LED strips to avoid tripping hazards. If you have any more specific questions feel free to give us a call at 1-877-232-3915 and speak with one of our helpful representatives!